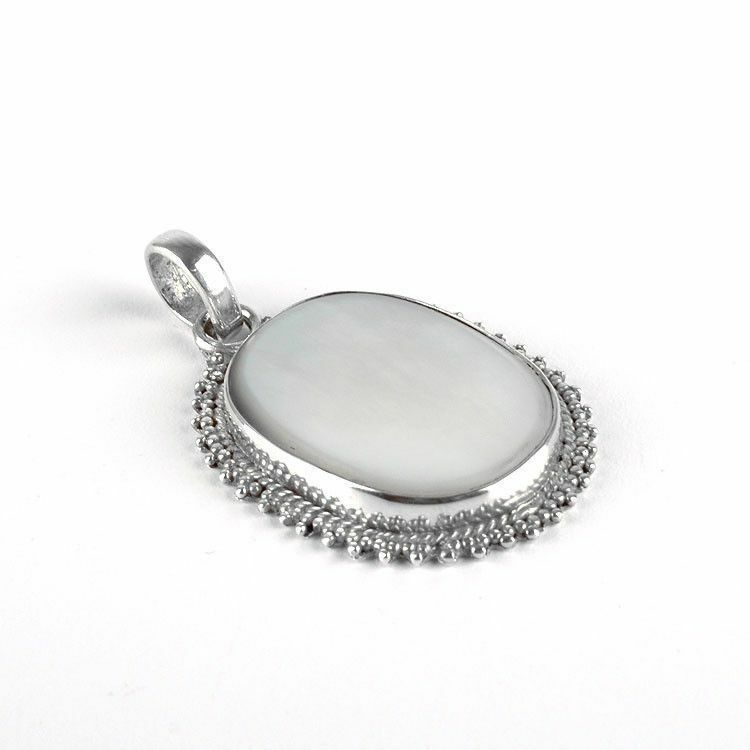 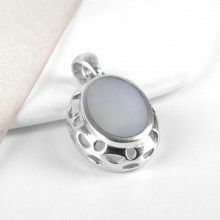 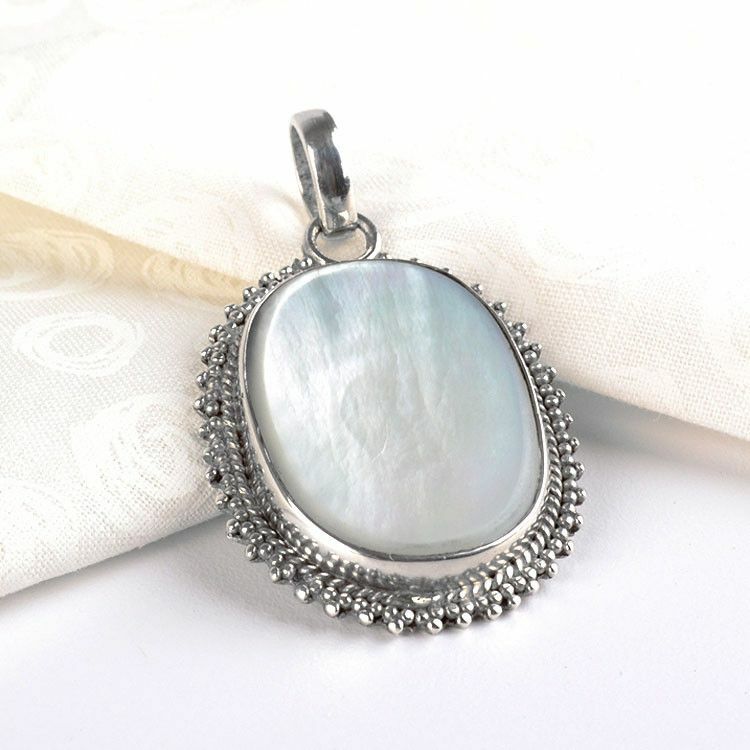 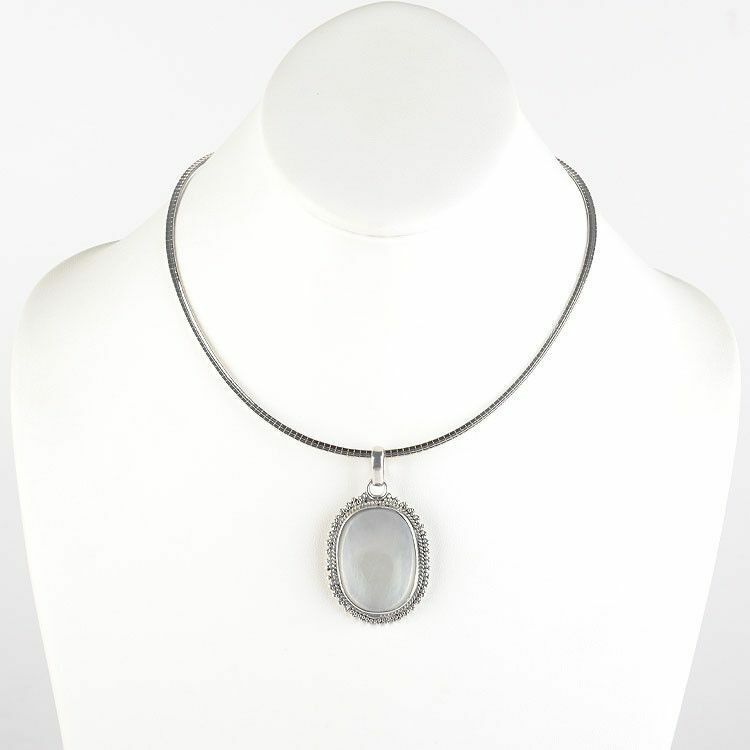 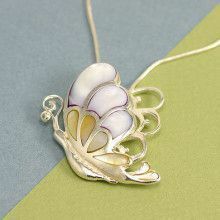 This white shimmer pendant features one oval shaped mother of pearl stone. 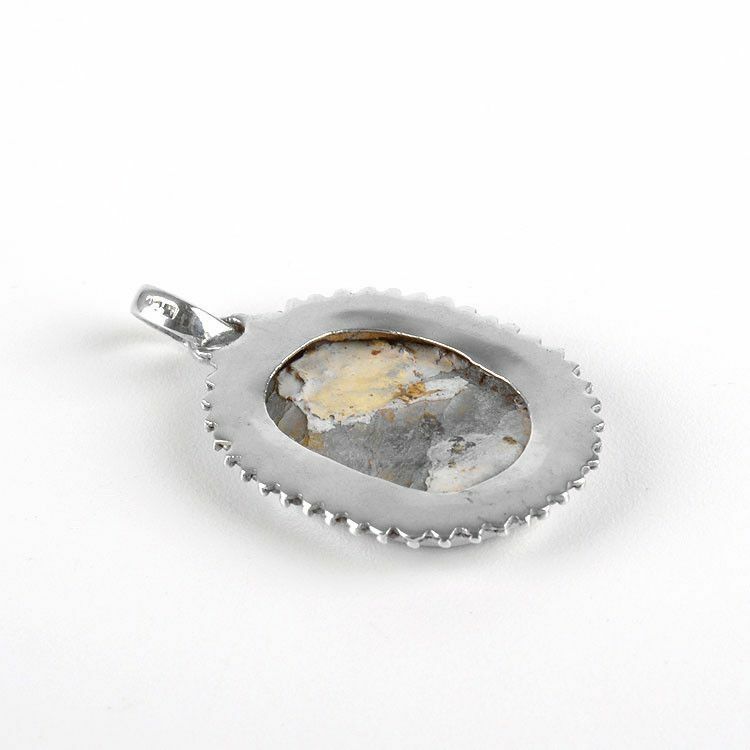 It sits in sterling .925 silver with an open-faced back, revealing the naturalness of the stone. 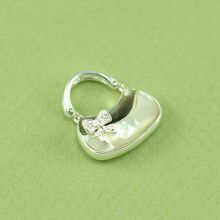 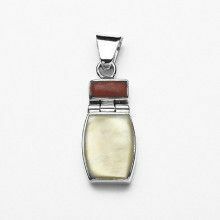 The silver has been stylized to add to the appeal of this nearly 1 1/4" wide by nearly 2" long pendant. 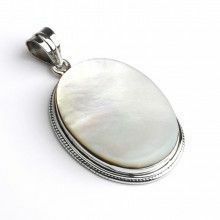 The genuine mother of pearl gemstone is just over 3/4" wide and is 1 1/8" long.